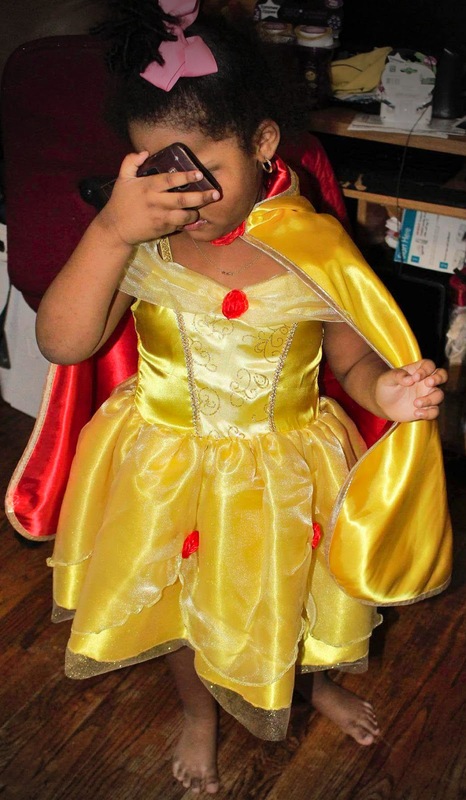 Enchanted Costumes from Great Pretenders to Win Our Beastly Hearts! This is a magical week for all Beauty & The Beast fanatics! 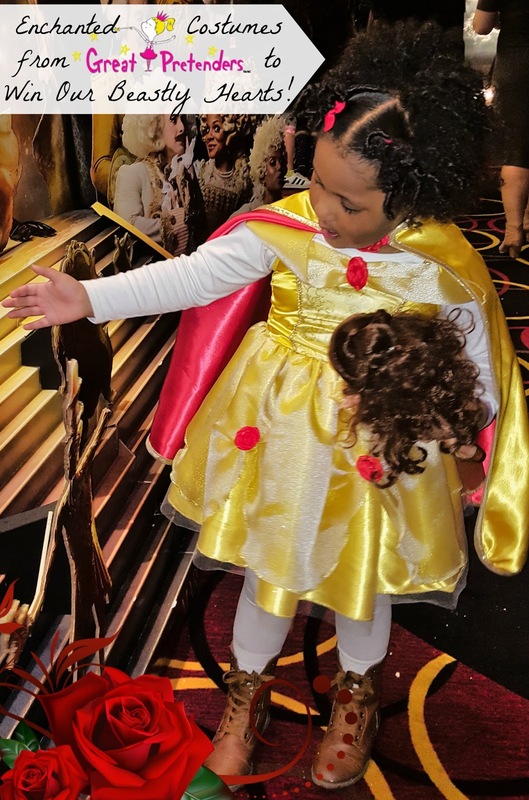 We headed to the screening of Disney's new Live-Action recreation of the Classic 1991 Film and could not leave home without wearing our Belle Tea Party Dress & Reversible Cape from Great Pretenders. How I presented the Dress on Valentine's Day! The dress is designed to be tea length and capture the essence of a magical princess. Gabby loved the off the shoulder sleeves, I loved the elastic gold straps that kept the dress in its place. It even features an elasticized waist for size flexibility between 4 and 6! You can't have Belle without the Rose so rose details made from Red organza complete the princess look. We were also sent the Brand New (not even on the site yet) Great Pretenders Girls Reversible Snow White-Belle Princess Cape Costume. It's a GORGEOUS Satin Material on both sides with a Glittery embellishment on each side. The red, Snow White side features a bitten apple in Gold while the yellow-gold Beauty and the Beast side features a single red rose. It's a Princess' dream and a great save on Momma's pockets! 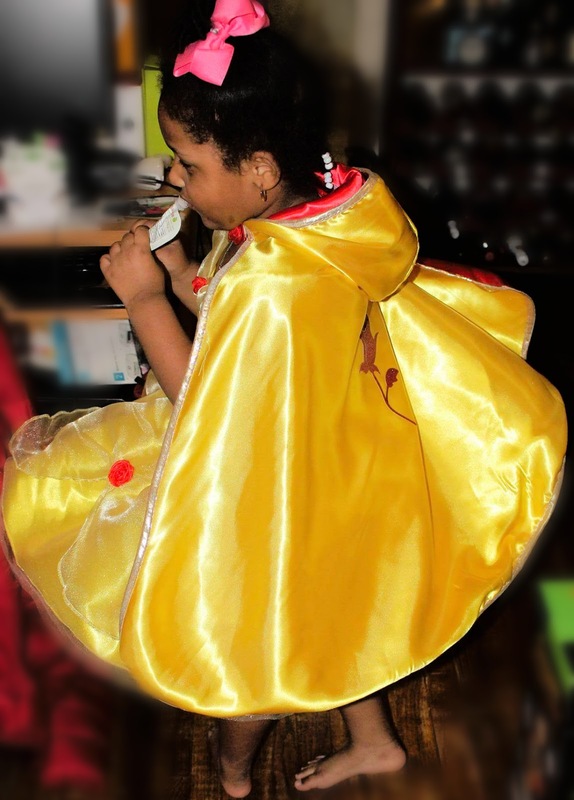 I was completely impressed by the quality of the Belle Tea Party Dress and Girls Reversible Snow White-Belle Princess Cape Costume, but that's a no-brainer considering it's our 4th & 5th costume selection from the company. The fabric is very sturdy and stitched up well. We actually did have a tiny issue with the first dress we had received, but customer service easily exchanged it. Gabby is way above average in height so my fear is always "Will this be too short?" Though Gabby is 3 foot 9in, the dress fit her right behind the knee. I still practice caution since I know how much my daughter loves to roll on the floor so biker shorts it is! 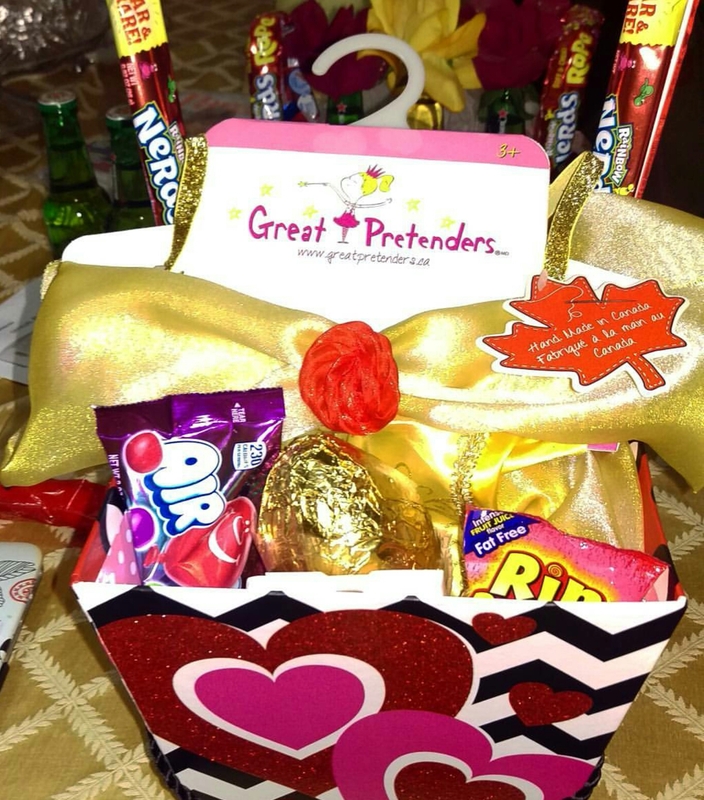 Great Pretenders is a company started by a mom who was looking for toys that sparked her children’s imaginations. It has grown into a dress-up and costume business that is leading the market of pretend-play that has won a variety of prestigious awards in the industry. In addition to a vast line of princess gowns, the company also has magical (faeries, witches, etc. ), occupational outfits (doctors, firefighters, train conductors), and some super cool super hero gear! Disclosure: I was not compensated for this post. However, I did receive product from the company above and the opinions expressed in this post are 100% our own. I am disclosing this in accordance with the FTC guidelines. Preschool Reading: HUGO The Happy Starfish! I Had Peppy Pets Fever Today! 4 GENIUS Play Ideas to Build Skills!